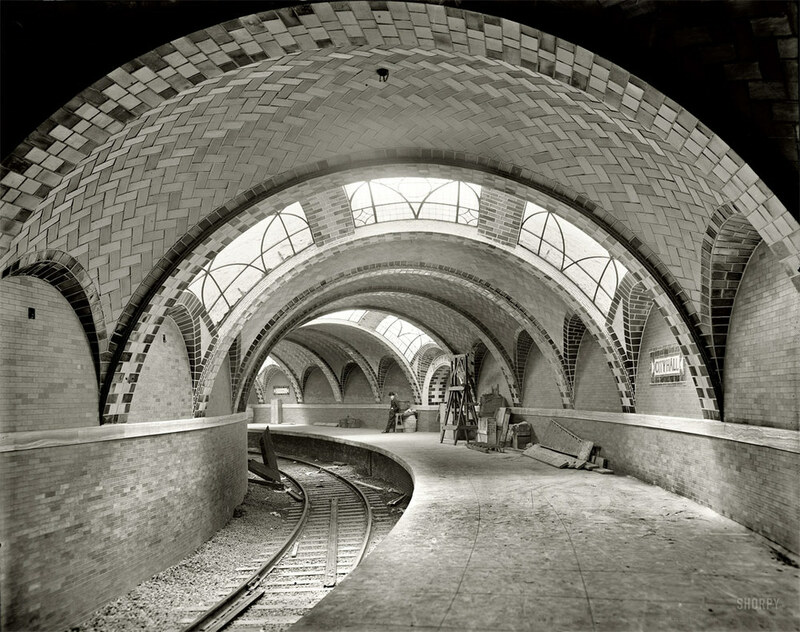 Taken in 1904, here's a photo of the City Hall Subway Station that still lies underneath City Hall Park. The station was built by the Interborough Rapid Transit Company (IRT) and designed by Valencian architect Rafael Guastavino. Construction began on March 24, 1900 and on October 28, 1904 it was officially open for business. 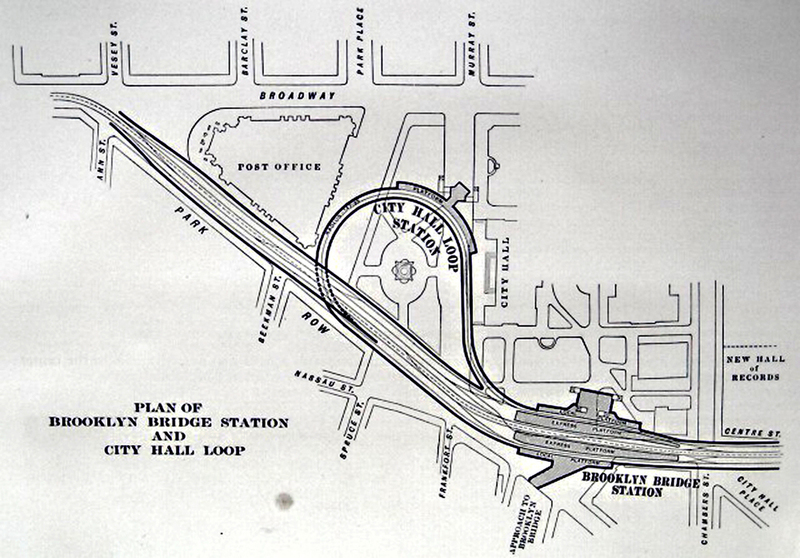 New York City would later close the station in 1945 due to the amount of renovations it would take to bring it up to modern specifications. Recently I was able to pay a visit to the station during an MTA Tour..